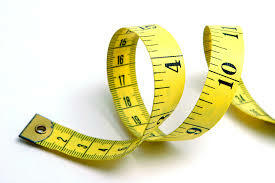 If you are interested in knowing your body fat, circumference measurements and how fit you really are, sign up for an E.H. Fitness fitness assessment* in the month of June for only $50! It's a great way to find out the areas could use a bit of work or to track your progress. Assessments include body fat (your choice of skin fold or electric impedance tests), strength, flexibility and cardiovascular measures of health and circumference measurements as well as what those numbers mean in regards to your health. Call me at 913-909-2043 or e-mail me at erin@ehfitness.com to set up your assessment time. *As always, fitness assessments are included in personal training packages! A recent study conducted by the Mayo Clinic suggests that just because a person might be in a normal weight range, it doesn’t mean that they do not have the same health risks as those that are considered obese. This trend has been termed “normal weight obesity” and refers to a person within an acceptable weight range who has a high body fat percentage (a high percentage of body fat is considered higher than 20% for men and higher than 30% for women). Or if you are not math-savy (like me), click here for a BMI calculator. A healthy BMI is between 18.5 and 24.9. But now, researchers have found that even those people with healthy BMIs might still have an excessive amount of fat in their bodies whether you can see it or not. The problem with this is that those people found to be of normal weight but with high body fat also had, like people who are obese, an increased risk of developing heart disease or a metabolic disorder like diabetes. Hydrostatic Weighing is the most accurate test to find your body fat %, but it is also the most expensive and hard to do test. This test involves suspending a person in water while they sit on a scale in a tub of water…not very practical for the normal person, right? The Skin Fold Test is a good measurement in which an instrument called calipers is used. Though someone uncomfortable because the trainer or doctor is literally pinching your fat and measuring it, it is a relatively accurate measurement of body fat, plus calipers are inexpensive and portable. Bioelectrical Impedance is a non-invasive and popular way to measure body fat, though it is not as accurate as the first to methods. You typically stand on a scale or hold a device in your hands that sends and electrical current through your body. The analyzer measures the body’s resistance to the electrical flow and spits out the percentage of fat. The skin fold test and bioelectrical impedance tests are commonly used at gyms during an initial health assessment. These assessments are usually free…so sign up for one today. If you do not have a gym measurement, ask your Dr. during your next visit or call your local friendly personal trainer to sign up for an assessment :). To read more in depth about the Mayo Clinic’s study on normal weight obesity, click here. During the month of June, you can get a full body and fitness assessment for just $50. Call me at 913-909-2043 or e-mail me at erin@ehfitness.com to set up your assessment time. Want to lose weight? Do this to DOUBLE your chance of success. According to the Center For Disease Control (CDC), 67% of adults are overweight or obese. No wonder over 80 million Americans go on diets every year and spend an excess of $30 billion dollars on diet programs and products. But the sad part of this is that most people who are trying to loose weight do not succeed. In fact, some have estimated that about 95% fail at their weight loss endeavors. That is a huge waste of money and time without improving health. So what can you do to increase your odds of success? Simple..write it down! 1. Buy a journal (or download an app-see #3)…or notebook or grab a pad of paper. Yep…this seems simple, but if you don’t have the tools, you can’t start writing things down. It can be anything…a leather bound book, a spiral notebook, anything that you want to designate as your Healthy Living Journal. Don’t use your journal for anything else, just your goals, food and exercise. 2. Make a short term goal. Your goals should be attainable and healthy…not “Loose 30 pounds this week” or “Eat only vegetables” but more like “lose 2 pounds this week” or “eat 4 servings of vegetables a day for the next 7 days.” After your week is up, you can re-evaluate and then move on to your next goal. • Tell the world. This is an important step in the road to victory. Tell your friends, co-workers, family, even the cashier at the grocery store that you are vowing to quit smoking, lose 10 pounds, or get to the gym 4 days a week. When your will wanes, the peer pressure that you’ve created for yourself will help you keep on track. • Be positive. Ever heard of the Little Engine that Could? With his mantra of “I think I can, I think I can I think I can..” he accomplished his goals. Even though the mountain was steep and took a lot of hard work, he kept positive with his eye on the prize. • Don’t be your own worst enemy. Many times, people fall off the health and fitness band wagon because they experience a set back. Maybe they missed a session with their trainer, had a cigarette at a party or ate half a pan of brownies. No matter what your goal is, you will experience a relapse from time to time. Write it down in your journal and then move on. No beating yourself up…just get back on track. A legal drug for athlete: Music! I don’t know about you, but I work out harder and longer with music than without. I can’t even imagine running for any length of distance without my running play lists. Ever wonder why that is? Costas Karageorghis, Ph.D., from London’s Brunel University School of Sport and Education Research says that “music is like a legal drug for athletes.” And his research shows that using music while you exercise reduces the perception of how hard you’re working PLUS you can increase your endurance by 15%! The full article on Dr. Karageorghis’ findings can be read by clicking here. So speaking of music, here’s a play list that I’ve used for the past week…enjoy!